In a series of stories that started Sunday, reporter Ashley Sloboda and a team of other Journal Gazette reporters take an in-depth look at the violence, steps schools have taken to be better prepared to respond, and other issues related to safety. To follow the series online, go to www.journalgazette.net/news/local/schools/safety, where you can also find a map showing which Indiana schools have been affected by incidents, based on the latest information released by the U.S. Department of Education's Office for Civil Rights. Some school districts are beefing up their security with gun safes that staff can access to respond to violence. Also, a look at companies that are producing and profiting from security systems. Those wanting to gauge how seriously Indiana educators view school safety should look at the numbers. That's Adam Baker's suggestion. With state law requiring one certified school safety specialist per school district, the Indiana Department of Education spokesman said there should be at least 300 statewide. The number of certified specialists totals about 2,400, Baker said, and doesn't include now-inactive specialists. They are trained through the Indiana School Safety Specialist Academy, which began in 1999 and is supported by an annual state budget line item, typically for $750,000. It is administered by the Department of Education. Indiana was the first state – and remains one of the few – with such a requirement. New Jersey recently followed suit. 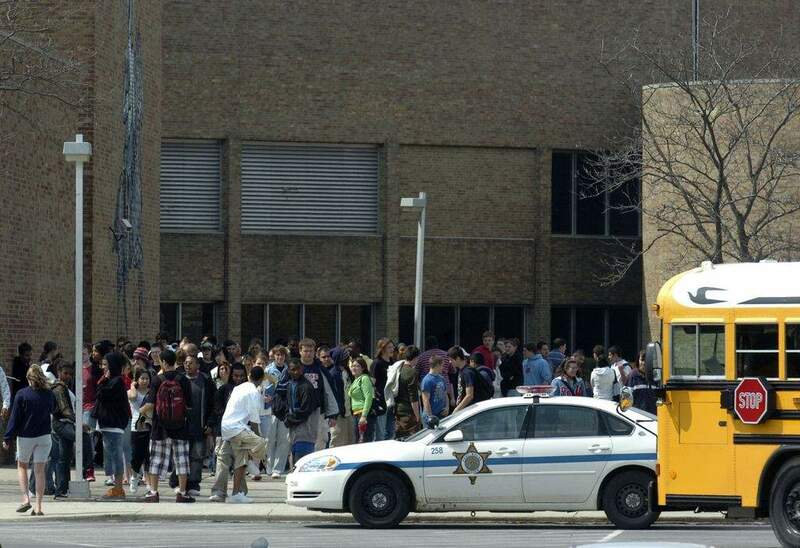 School safety expert Mike Dorn is impressed with Indiana's training effort. Dorn is executive director of Safe Havens International, a nonprofit that helps schools improve crisis preparedness and campus safety. He commended Indiana for its practices and comprehensive, multidisciplinary approaches. He also expressed amazement at the number of superintendents who invest time to get certified. “Indiana is by far leaps and bounds ahead of the country,” Dorn said. In Indiana, school safety specialists are expected to serve on the county school safety commission; annually participate in training; develop and coordinate school safety plans; and serve as a district resource on school discipline, safety and security issues, according to state law. Any school employee may become a certified school safety specialist with approval of the local superintendent. Administrators are the most common participants, state education officials said, but others have attended, including maintenance workers, food service staff and counselors. East Allen County Schools is among the districts diversifying the role. Along with administrators, the certified group includes counselors, police officers, a fire chief and a teacher, the district reported. It has 29 safety specialists with six more scheduled to attend training this academic year. The Indiana School Safety Specialist Academy offers ongoing lessons about best practices and resources for school safety, security, intervention, prevention and emergency preparedness. Training sessions are held wherever there is space, typically in conference centers, Baker said. The advanced and basic training sessions are held at the Indianapolis Marriott Downtown, he said, and the state education department pays for lodging for those commuting at least 75 miles to make participation as easy as possible. Cost is free to districts. Lodging isn't provided for regional training, which is usually held in large instruction rooms and auditoriums at schools across the state, Baker said. Regional sessions planned through November cover such topics as drug trends and identification; legal updates; lessons learned from Sandy Hook Elementary School; and interviewing and interrogation. Next week, the Allen County School Safety Commission, Purdue University Fort Wayne and the Indiana School Safety Specialist Academy will present two days of training at the college campus. Topics are digital harm and preparedness for the worst-case scenario. Those seeking school safety specialist certification have much to learn. The basic training curriculum available online outlines numerous learning objectives. They address legal aspects, threat assessment, school building safety assessment, environmental hazards, crisis management, safety at extracurricular events, active shooter response, bullying prevention and gang activity, among other topics. The goal is to stay ahead of the curve and learn from each school shooting, said Baker and Ryan Stewart, a school safety specialist with the state education department. Stewart acknowledges the information can be overwhelming. “We try to give them as much information as we can,” he said.